Through prayerful movements, we pull down strongholds. Strongholds are anything that hinders the will of God in our lives. They can be long standing patterns of behavior or thought, even things that seem to be woven into the fabric of our personalities that keep us from doing God’s will or abiding in Him. There are strongholds in families, strongholds over cities, institutions, and nations. They manifest in relational conflicts, in addiction, in injustice, crime, illness, and more. The outward symptoms are physical and material, but the root of the problem is in the spiritual realm. Our greatest weapon in pulling down these strongholds is prayer, and when we pray according to His will, we know He answers. As dancers, we intercede not just with our words, but with our movements. In this 4 minutes video, I share movements you can use in your prayer and devotion to break down strongholds in your life, in the lives of your loved ones, and in your community. This teaching comes from the DVD Weapons of Warfare/Movements of Breakthrough. The Weapons of Warfare/Movements of Breakthrough DVD contains four basic sections. 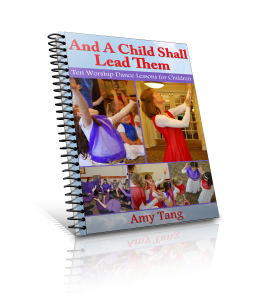 In the first section, Pastor Lynn teaches out of the Dance, Dance, Dance! book on the Hebrew words associated with power movements. In the second section, we learn how doing movements like circling, marching in procession, whirling, and shaking can bring deliverance by pulling down strongholds. In the third section, Pastor Lynn gives four scriptures that describe the Lord bringing victory and deliverance through praise, and she gives movement ideas for each of these scriptures. She goes on to develop 8 counts of punch-kick movements that you can use in your own workout or to lead a group of dancers. And, finally, in the fourth section, she demonstrates how to put all this together into a 20-minute time of movements in which a group of dancers can do spiritual warfare while also getting a cardio workout. Each section builds on the previous section, equipping the dancer with movements for intercession. I love this DVD. One of my primary callings as a dancer is to intercede in my own prayer time and to equip others to intercede through movement. This DVD gives me strong movements for warfare (where my natural bent is towards fluid, gentle movements) and a strong biblical basis for using them. Whether you purchase this DVD or just incorporate the movements for pulling down strongholds into your devotion (and create more movements of your own), I pray that you are encouraged and equipped by these in your prayer time. 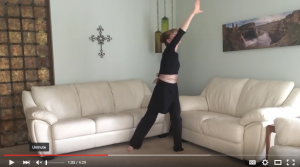 How have you incorporated dance into your time of intercession?